Enter the new Carrera T: a lighter iteration of the rear-wheel drive Carrera variant, reminiscing on the iconic entry-level 911 of yore. We take a closer look at what makes this 911 special and ask ourselves the question whether the T is a worthy addition to the line-up. Before diving into what is new about the 991 Carrera T, let’s take a look at its proclaimed heritage. The original 911 T (for Touring) was introduced for model year 1968 as the entry-level 911. To save on production cost the aluminum cilinder heads of its 2.0L flat-six were replaced by iron-case units and carburettors instead of fuel injection. The 911 T remained at the base of the 911 ladder for years to come, below that of the more potent S and more luxurious L and E models. Read more about the early days of the 911 in our comprehensive blog post. 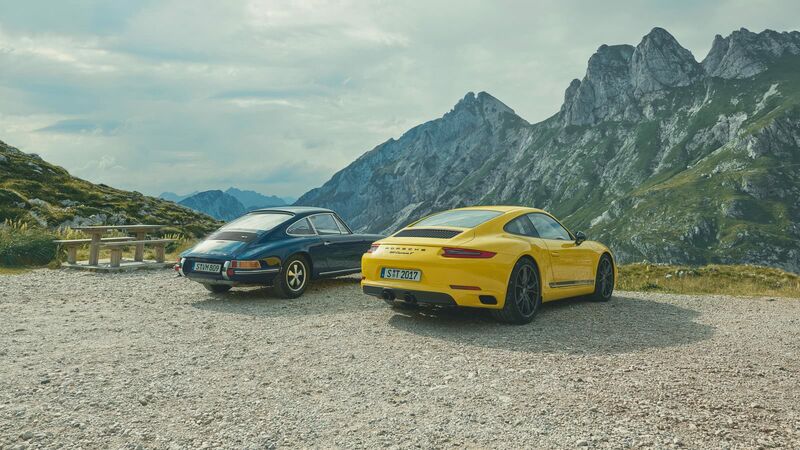 It's not an easy task to find the similarities between the original 911 T and the all-new Carrera T today. Whereas the original car was positioned as the entry-level car, the Carrera T is positioned between the Carrera and the Carrera S. It seems relatively counterintuitive if we look at the stats: the Carrera T hardly offers any incremental performance versus the standard Carrera entry model. The Carrera T sheds 20kgs of weight versus the Carrera from losing its rear seats and PCM system. 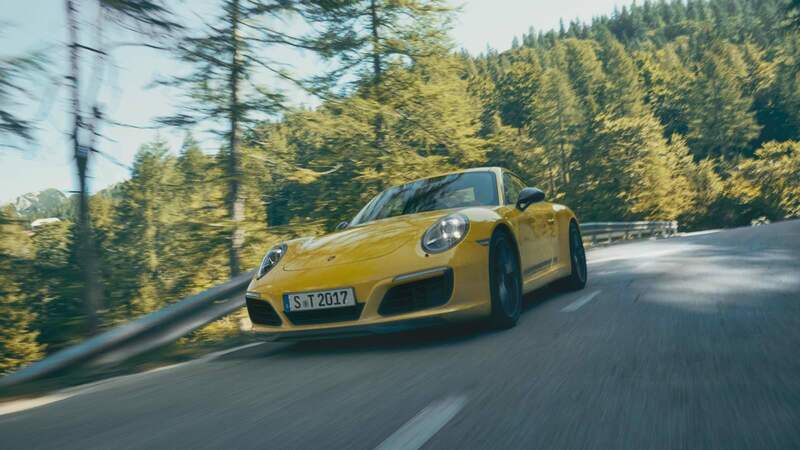 Both cars are fitted with the latest turbocharged 3.0L flat six, with the Carrera T sprinting 0.1 seconds faster to 100km/h thanks to a shorter gearbox ratio. So in summary: 20 kilograms lighter and 0.1 seconds faster than a Carrera for about 10,000 Euro extra. 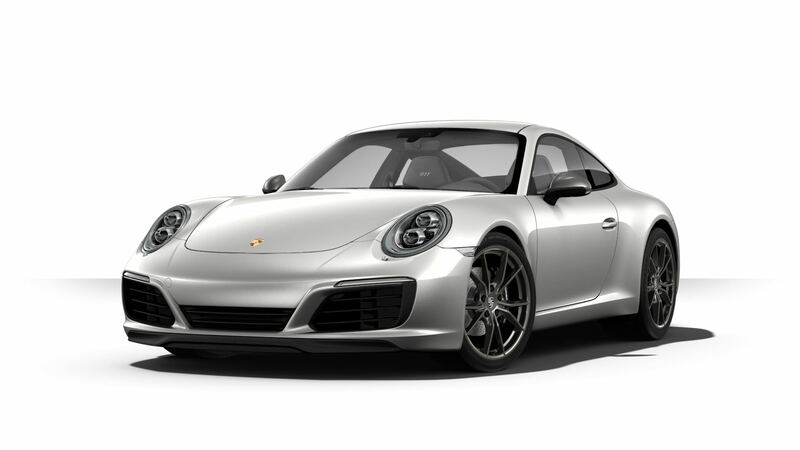 So if performance is not the reason to choose for a Carrera T, then Porsche will surely have done their very best to provide a unique spec for this 911, right? We tend to agree, specifically on the interior spec, even if it remains a matter of personal taste in the end. On the outside the Carrera T sits 20mm lower than the stock Carrera as it is fitted with PASM as standard. It features some of the GTS’s pedigree from a specially fitted front spoiler and an all-black sports exhaust at the back. Dedicated striping adds a little more panache to the T’s stance. 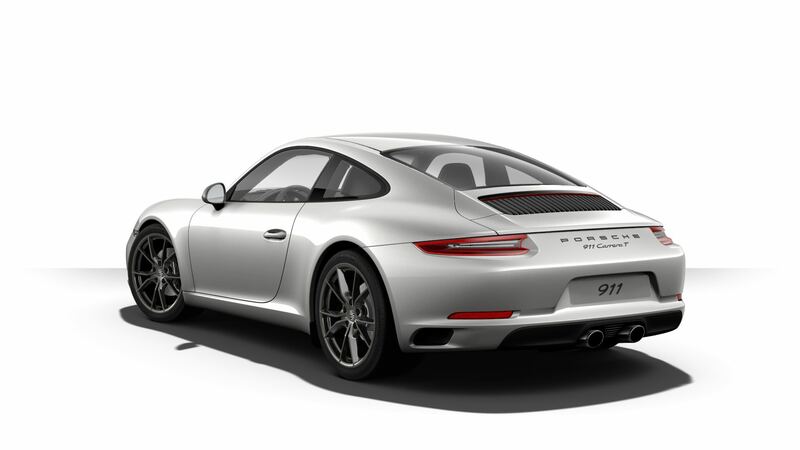 Side mirrors are finished in Agate Grey and its 20” Carrera S wheels also feature a titan grey finish. Available uni colours are Black, White, Racing Yellow (featured) and Guards Red. Available metallic colours are GT Silver, Carrera White and Jet Black, with Lava Orange and Miami Blue added as special finishes. Note that nearly all of these features are similarly available on other Carrera models. The interior is where most of the Carrera T’s character unfolds in our opinion. 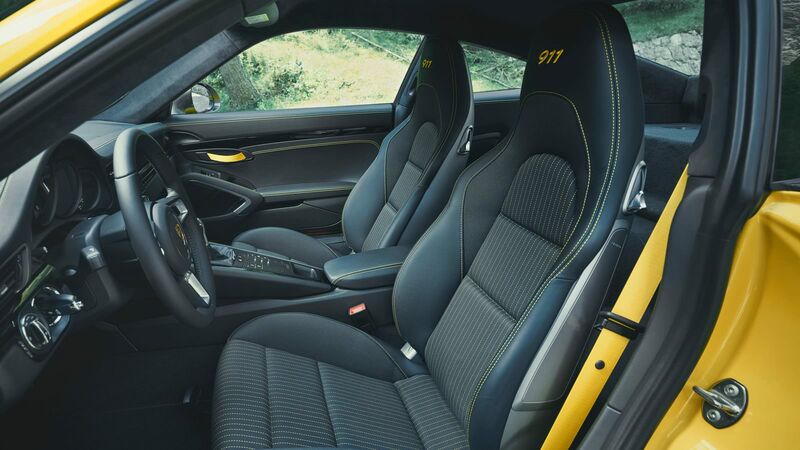 Although we would not go as far as Porsche to claim this is a true purist’s interior, we do appreciate the ‘Sport-Tex’ Sport Plus seats with contrast stitching and upholstery exclusive to the Carrera T. Available stitching colours are Racing Yellow, Guards Red and GT Silver. The car is fitted with the Sports Chrono Package and a neat GT steering wheel as standard. The shortened gear lever is finished with its gear pattern in red. Door handles are also replaced by the Motorsport-style textile alternative. It looks very good all together, although we would seriously consider the optional bucket seats. We decided to spec the Carrera T to our liking. The end result is a toned down Carrera T, opting for a classic yet always beautiful GT Silver finish with side sticker delete and stock exterior spec. Adding the optional Sport Design exterior spec would make it look too much like a GTS, as would the black bi-xenon headlights. On the inside we opted for a matching black with GT Silver stitching full-leather finish, specifically available for the Carrera T. The Sport Plus seats are swapped for the leather bucket seats to complement the driver-focused philosophy of the car, as is the decision to keep the rear seat and PCM delete. Quite ironically, Porsche recommends all sorts of options that would require the refitting of its PCM, like park distance control for instance. Despite knowing better we decided to disregard these luxuries and went for the true spartan spec, ending at €128,000 in total. What else would that money buy you today? A nicely specced, but not full-option Carrera for sure. A fantastic car that adds practicality and everyday usability versus the Carrera T, but lacks uniqueness. 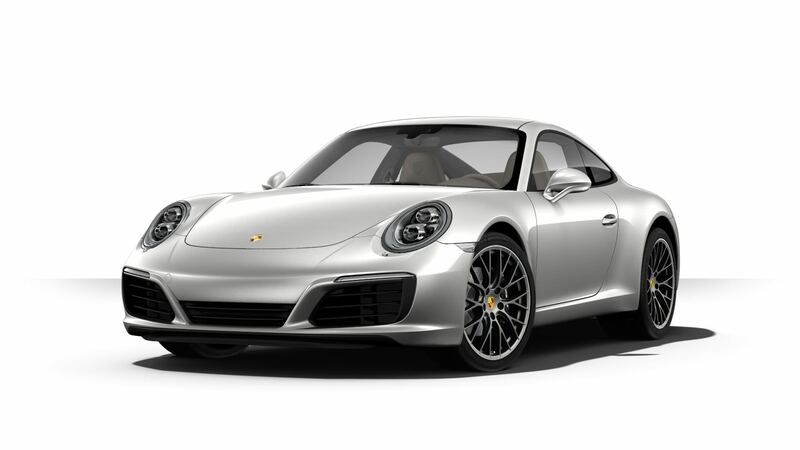 On to the Carrera S, where we quickly cross the price of our Carrera T after adding a metallic color finishing, a leather interior with Sport Plus seats, PDCC and PSM. Call it essential spec for a Carrera S, which would leave us with an asking price of €4,000 over our Carrera T. Whereas the car struggles on the uniqueness angle just like the entry-level Carrera, it does deliver more in terms of performance. 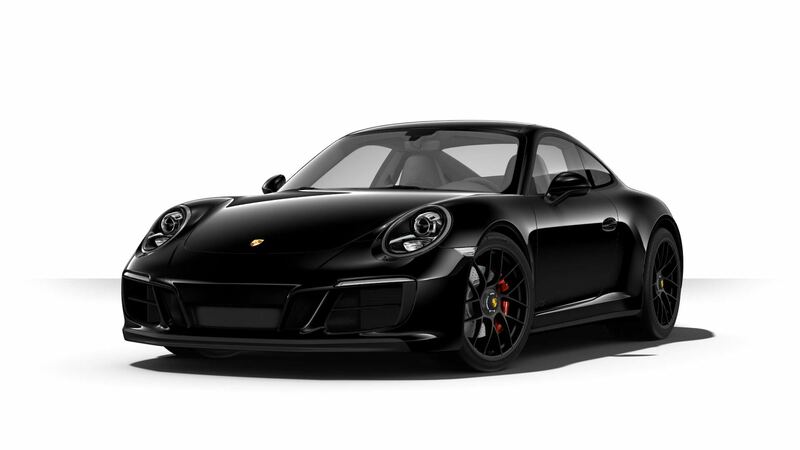 That brings us to what perhaps is the best alternative for the Carrera T: a stock Carrera GTS, albeit without any options ticked - not even a metallic color. The standard GTS comes €2,000 more expensive than our Carrera T but seems a more worthy contender than a Carrera or Carrera S: it is more practical, but still delivers on uniqueness and overdelivers on performance versus the Carrera T. Perhaps this should be our recommended weapon of choice, although we recon there might be many more GTSes out there than there will be Ts. Up to you to decide if you would be in the market for a special new 911. In conclusion, the Carrera T has earned its right of existence within the current 911 line-up. It’s a car that, when specced in line with its driver-oriented philosophy, brings back a shade of the 911’s original pedigree which seems to have deteriorated in the eyes of many over the past decades. 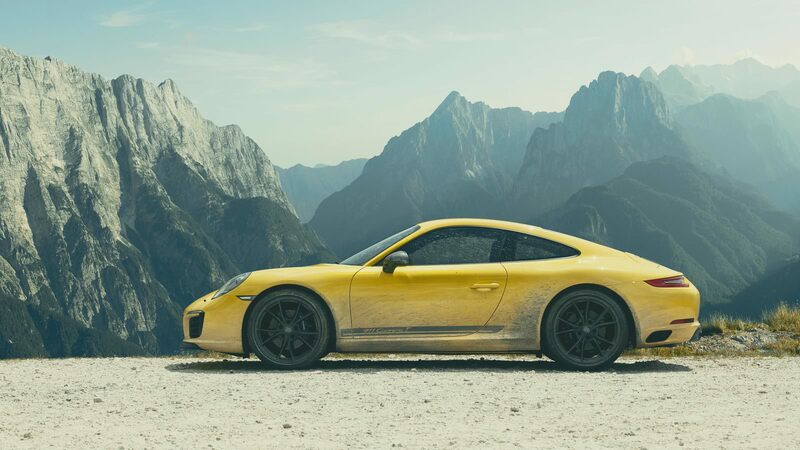 This will require discipline though, since the Carrera T offers little compromise: staying true to its philosophy means to give up on everyday electronic luxuries that have become indispensable to many modern-day 911 buyers. That said, we do not expect to see vast amounts of Carrera T’s on the street as there are other Carreras, but let that be a positive conclusion. 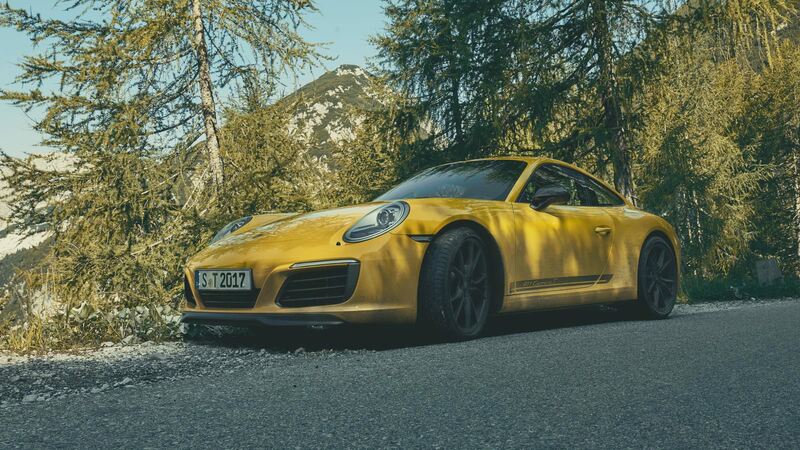 More worryingly, the introduction of the Carrera T makes us question more and more the purpose of the Carrera and Carrera S models within the line-up of the 911. More and more these iterations seem to exist solely to appeal for those in the market for a sports car, who are considering a 911 as an alternative to an AMG GT or an F Type. Purists will not approve, but the introduction of the Carrera T could mean that the next-gen 911 will further drift away from its origins. Rennsport in the snow: Porsche Days 2019 Mid-April blues did not keep us from visiting the biggest Porsche meeting of Continental Europe. These are our impressions of the 2019 Porsche Days at Spa Francorchamps. The 991 Speedster: back to basics The two 991 Speedster concepts are bringing this special 911 back to its roots: motorsport pedigree and a lightweight philosophy. The highlights of this year's Porsche Days This year's Porsche Days were sunny, colourful and full of very special 911s. We shed a light on the most spectacular cars and other notable observations.